Valhall NGP As has signed an agreement with Akzo Nobel / International Paint for World Wide distribution of our products. This gives access to a number of new markets for our products and is expected to give a significant increase in the distribution of our products. Valhall and Akzo have been working closely for a long time to prepare this agreement, which now replaces the existing agreements we have with Akzo. Gathering the existing agreements into a joint agreement that has a World Wide closure field says something about the quality of what has been delivered to date. It is worth mentioning that it has been delivered products to Johan Sverdrup, Aasta Hansteen, Mariner, Martin Linge and several others new build projects, we have delivered to various projects in Thailand, Malaysia, Indonesia, Sweden, Denmark, Finland, Iceland, Belgium, the Netherlands and the UK as well to a number of on & offshore projects in Norway. The products are now part of International Paint / Akzo Nobel’s range. This is a powerful vitamin injection for us in Valhall. We have been working on this for a long time and invested a lot of resources and a lot of work to accomplish this. A greater recognition of quality and product possibilities, we can hardly imagine. 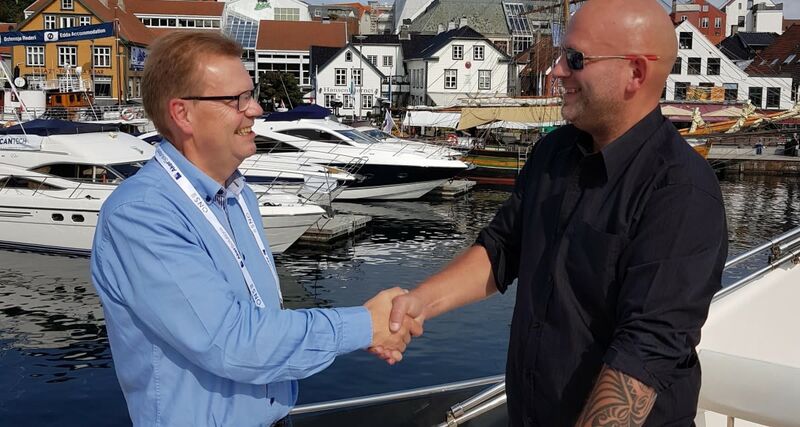 We have reached an important milestone and are really looking forward to the continuation with our excellent partners in International Paint / Akzo Nobel”concludes Trond Soltvedt, Managing Director of Valhall NGP AS.